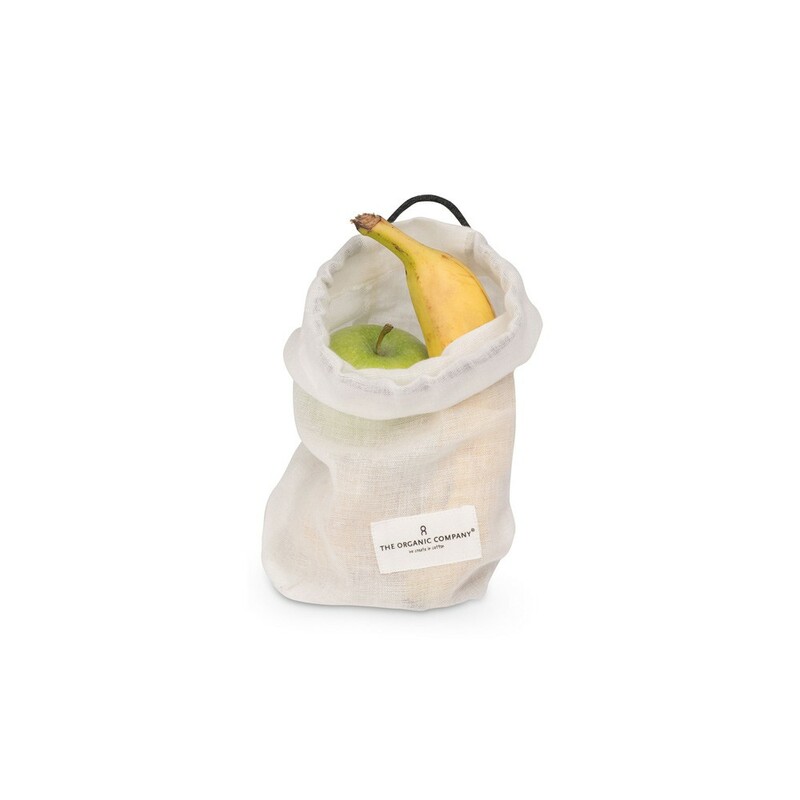 The Organic Company cotton produce bag is a handy and beautiful storage bag that keeps your food away from plastic. The organic cotton gauze weave is breathable and has a drawstring for easy closing. These food bags are washable for longevity. This best selling organic food bag has been featured by sustainability and zero waste expert vlogger Kate Arnell. See the feature here. Available in white or dark green, in three sizes S/M/L. All products from The Organic Company are made from 100% GOTS certified organic cotton. To see more products from The Organic Company, click here. Your Organic Company products will normally arrive in your hands within 2-3 business days, via Royal Mail. Meditation mats and meditation cushions currently have a delivery time of 2.5 weeks. Your order will be sent by The Organic Company’s agent, Hyggen, (who receives your name and address) as instructed by Chalk & Moss. You can read about Chalk & Moss deliveries and returns here. Standard Chalk & Moss terms apply. The Organic Company is a Danish brand with a buy less, buy better mentality. Since 2007, founder Joy Vasiljev has developed the company to produce meaningful home textiles that continue to push organic standards. All their products have the Soil Association accreditation and are certified with the international organic label GOTS (Global Organic Textiles Standard). The GOTS standard focuses on 2 major areas; environment and social responsibility, and guarantees that all fabrics are free from toxins and heavy metals, and international workers rights are respected. The products are responsibly made in India, from there where the cotton also originates. Find out more about GOTS here. Based in Copenhagen, The Organic Company values design, quality and respect for people and nature. More of their beautiful soft furnishings and kitchenware range will arrive in the Chalk & Moss shop, so do keep checking in! You can also join the Chalk & Moss newsletter for offers and updates from the shop and blog.